Backed by a team of experienced professionals, we offer a splendid range of Statue and sculpture in various specifications like religious and not religious, animals and furniture also oil lamps. This Figures statue is precisely crafted using utmost quality raw materials and hi-tech crafting methodologies in compliance with the international quality. ALL Murti are extensively appreciated by our global clients due to its attractive design, immaculate finish, high gloss and durability. A Wide range of Exclusive decorative, religious, showpiece, table decor and wall hanging metal statue, brass ware, Statue, Gift and craft, Candle stand, bells, figure and Sculpture. 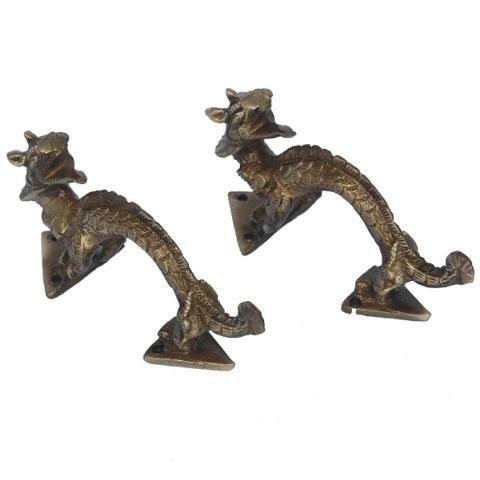 We are manufacture of metal handmade handicrafts and craft in different sizes and finish. We do bronze, silver, nickel, gold, antique, patina and lacquer finish on our products. Our products can be used at home, office, resorts, hotel, garden and Public area also. All of our products can use for decoration, gift and co gifting. We also deal Swing chain set for outdoor and indoor purpose. We also carry a wide range of rare door Hardware fitting as door handle, door knocker, knob, hooks, door lock and pad locks etc. We can make customise Statue and sculpture as per requirement. Packaging Details Packaging Detail: Inner: Bubble wrap Outer: Carton Box; we also can package as per your requirements.